8/23/2011, TUCSON, AZ - It wasn't until late May of 2006, almost five years following the terrorist attacks on the World Trade Center on September 11, 2001, that I realized how I was personally affected by that fateful day. I had recorded a documentary on the Discovery Channel based on American Airlines Flight 11, the Boeing 767 that crashed into the North Tower of the World Trade Center. I stored the rather worn out tape in my entertainment center, and completely forgot about it. It was on one of those evenings when there was nothing on the over 120 channels of cable television to which I'm subscribed, when I decided to check out what I had recorded. I began to dig through the overly re-recorded VHS tapes and found one labeled American Flight 11. As the narrator began, he mentioned the names of the crew members on that fatal flight. 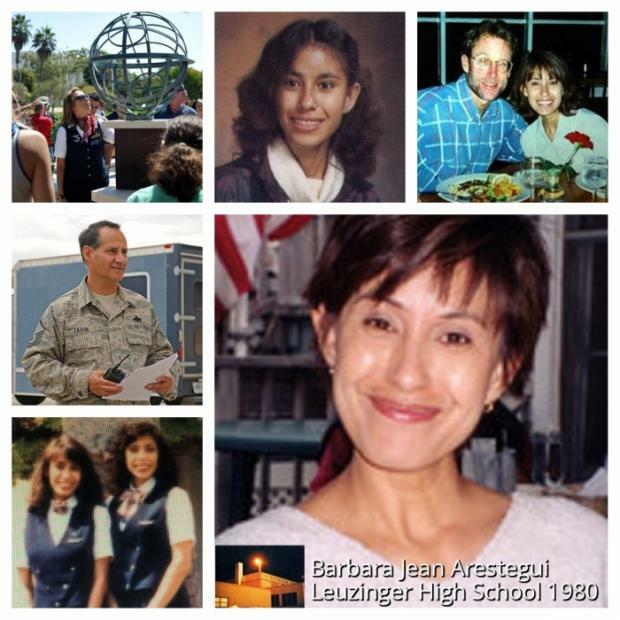 "Working in first class that day was flight attendant Barbara Arestegui." A terrible empty and sick feeling suddenly hit me. I rewound the tape to make sure that I heard it correctly. A friend of mine who was visiting noticed me sit up, my face going pale, and asked if I was okay. I responded, "That's Bobbi." Bobbi, is a woman that I met in Germany on a TDY to accept our unit's first two F-16s. As she asked if I was okay, I was already on my way to my computer to do a name search. Her last name wasn't very common so I knew the results weren't going to be good. Just then, a photo of the woman who accompanied me to my best friend's wedding in Phoenix, filled the monitor; staring at me with those pretty brown eyes and a smile that never quit. She was such a kind, warm and helpful person; perfect qualities for a flight attendant. I slumped in my chair and as the sick and empty feeling increased, I kept shaking my head in disbelief. For the very first time, I really began to feel what those closest to the thousands of people lost on that day had been feeling for over five years. As a result of watching the documentary, I had learned that Bobbi, despite her five foot two inch frame, had done all that she possibly could have done to keep the terrorists from breaching the cockpit door. Being assigned to first class on that flight, she had been waiting on the terrorists as Flight 11 left Boston's Logan Airport early that morning. Reports indicate that Bobbi was likely stabbed and died prior to the plane's impact into the North Tower; making her one of the first two U.S. citizens to lose their life during this atrocious event. A few days passed when I began do some research, looking for some type of closure. I was able to contact and speak with Bobbi's fiancé at the time. I identified myself to Wayne Nichols, having never met him, as a long ago friend. He began telling me about the last time he had contact with her. I learned that they had been making vacation plans, and in order to offset some of the costs, she had volunteered to work some extra flights; she wasn't even scheduled to fly that day. I could still hear the anguish in his voice and the love that he had felt for her by his words; and this, after five years. I gave him my most sincere condolences, as I heard him begin to cry; I could feel his pain. As I hung up the phone, I realized that speaking to someone who knew Bobbi was all I needed for closure. Although, I do recall re-telling the story to whoever would take the time to listen.